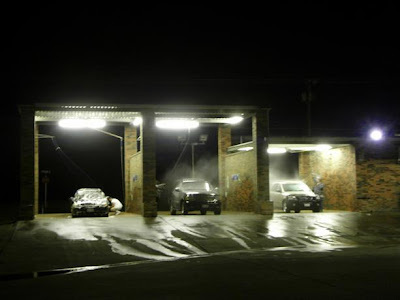 Not quite the same thing as the movie from the 70's, (a classic) but the car wash was busy last night even after it got dark. Exciting weekend if you are a football fan. Terrell lost a thriller to Red Oak Friday night, the Texas Longhorns defeated OU on Saturday and the NFL gave us some great games yesterday. Even though the Tigers lost Friday night, they are still ranked #20 in the DFW area for 4A schools. Early voting starts today in Texas for Constitutional amendments. I didn't see the ballot number for requiring an ID to vote or to allow casino gambling in Texas. Maybe next time.